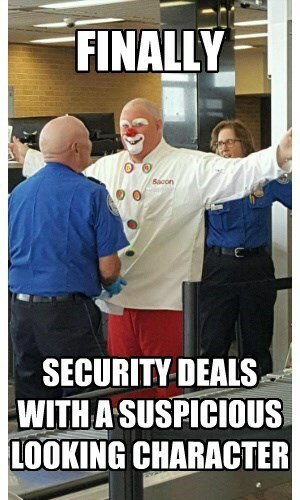 I don't know about you but I feel a bit a bit more tolerant of security personnel when I see them giving a hard time to someone who deserves it. Maybe that's why Border Patrol is such a popular TV show. 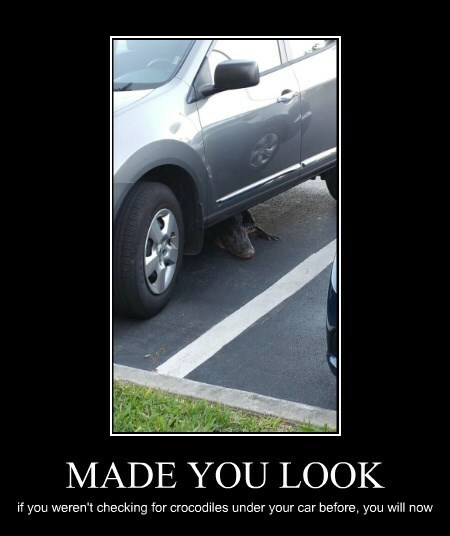 What would you do if you found this? 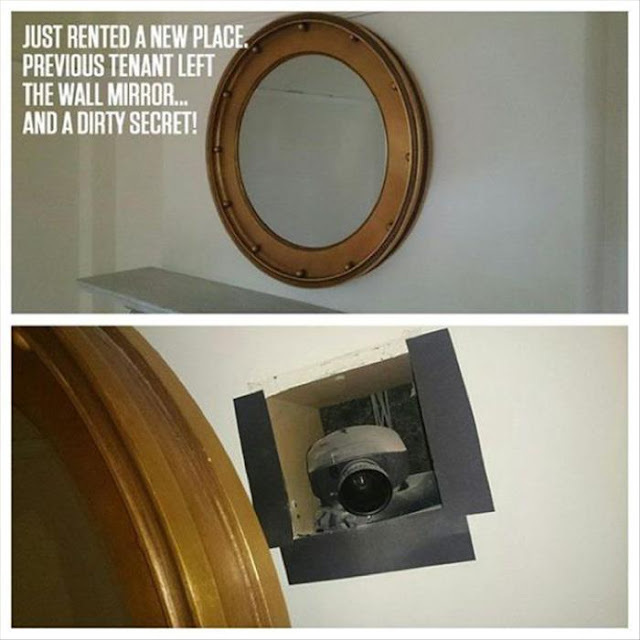 I mean, it might not be the previous tenant, it might be the property owner. I think this kind of invasion of privacy might warrant a call to the authorities. It seems to me that even if that thing were screwed into something harder to pull out of the ground it would still just be screwed (or bolted) on and thus easy to remove. These bike racks provide security theatre only, not actual security - not that bike racks offer much in the way of security anyway. 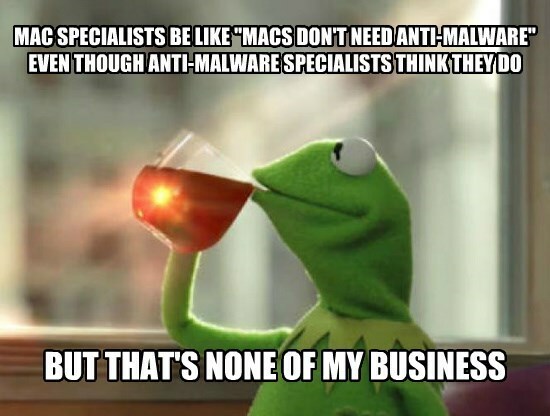 If you don't understand how a preventative control works, how can you expect to know if it will do what you need it to do? I suppose if you think only your hand can protect your eyes from the sun then at least you have a convenient place to rest it while you go about your day one-handed. 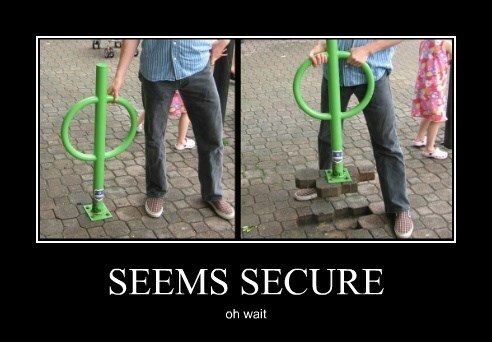 Hey, if we can have troll science, why not troll theft prevention? 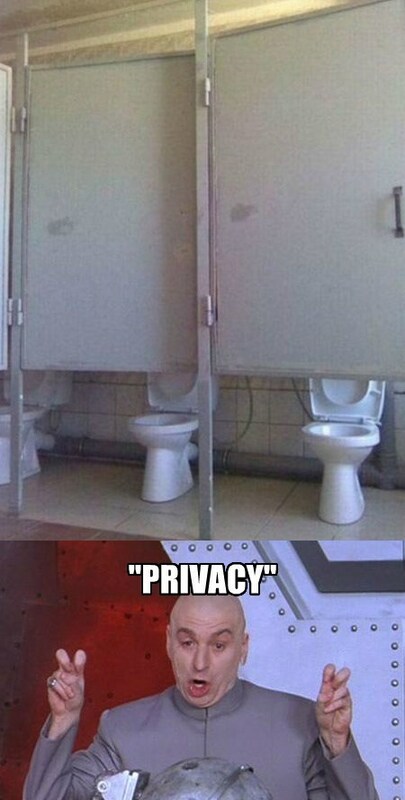 If you ever wondered how the privacy in a 2 toilet bathroom could get any worse than having 2 toilets side by side without a divider, this is how. 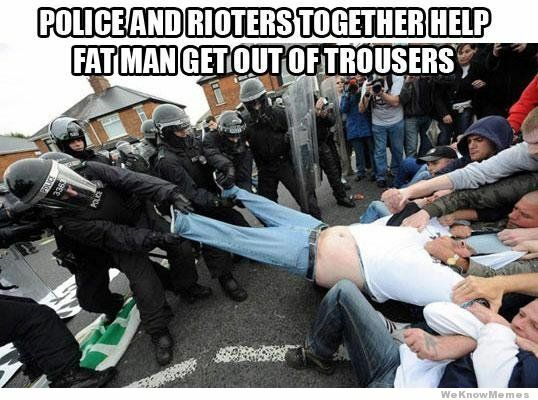 I'm not sure what the authorities think they're doing here (saving a man who ate too much holiday turkey?) but the outcome is easy to predict - it won't be good and it will be their fault. I'm torn about whether or not we'd have been better off not knowing about elf on the shelf. On the one hand it's a recent construction that actually makes kids more desensitized to surveillance, but on the other hand it's better to know about surveillance than be blind to it. 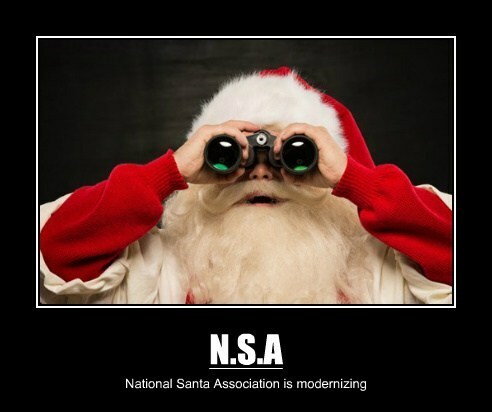 As the years go by, the idea of Santa seeing everything you do just doesn't seem to get any less creepy. I hope no one has figured out how to make camouflage milk yet. 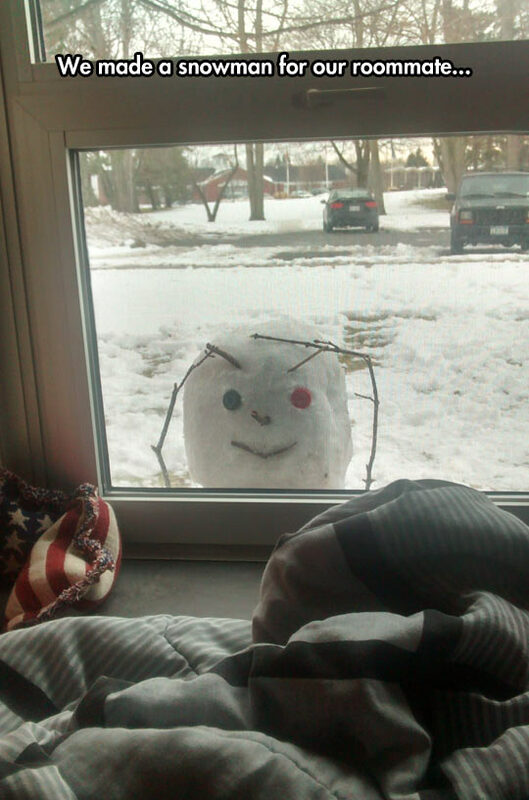 Maybe we should be building shelters for our snowmen, or at least putting more clothes on them. Yeah, I don't think anyone's going to try to use acrobatic skills to breach this barrier. A heavy cutting tool or a vehicle, however, would probably do the trick. 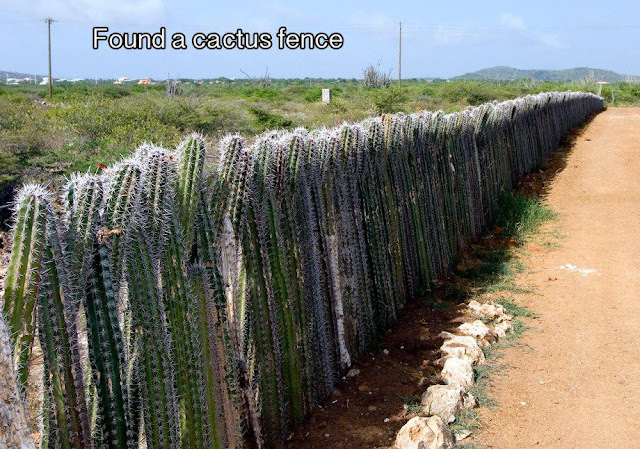 It's an imposing looking fence, but if someone is determined enough to use a tool, they'll probably get in. 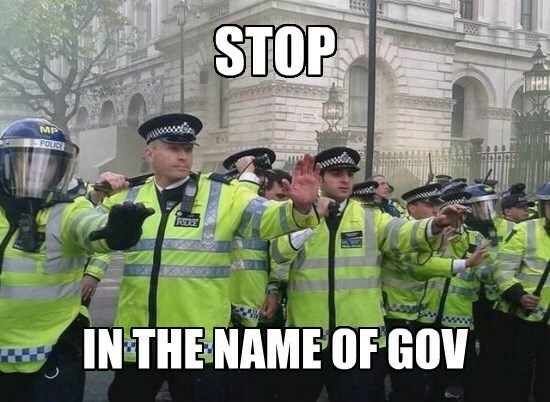 The authorities are undoubtedly more effective when they coordinate with each other. Maybe not as intimidating when they look so much like The Supremes, however. 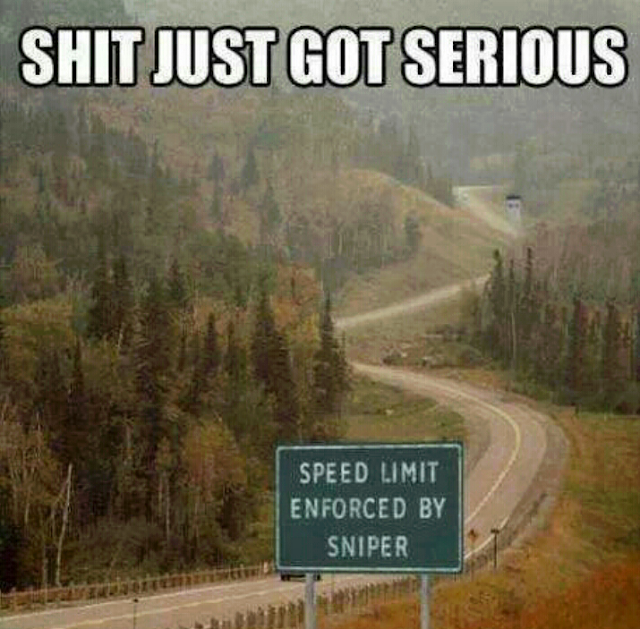 I'm guessing this is more for the sake of deterrence than to tell people there's an actual sniper enforcing a traffic law (although that tower in the distance would be a good roost for one). More and more I think the FBI should stand for the federal bureau of incompetence. 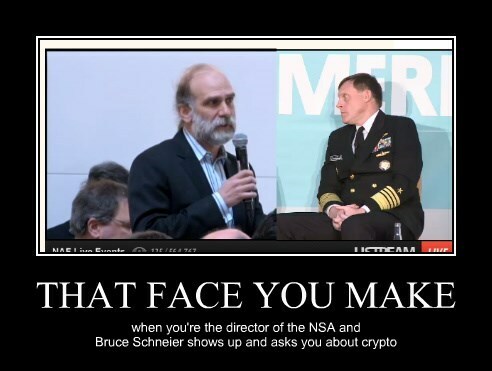 If the feds can't find terrorist chatter when it's out in the open, how can they possibly hope to find it when they get access to encrypted messages? 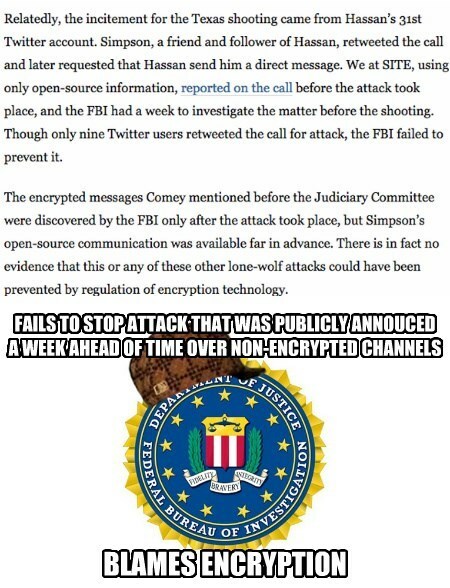 Encryption is just a scapegoat to cover their incompetent asses. By the way, this isn't about the San Bernardino shooters (who were believed to have discussed jihad publicly but didn't), this is from an earlier incident. Are you like me? Do you often find yourself wondering why there's such a thing as a smart BBQ? 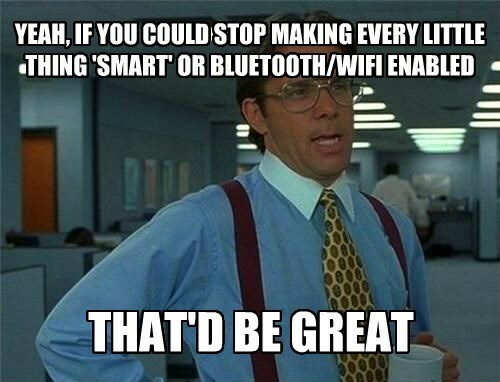 or a smart kettle? or a smart water bottle? 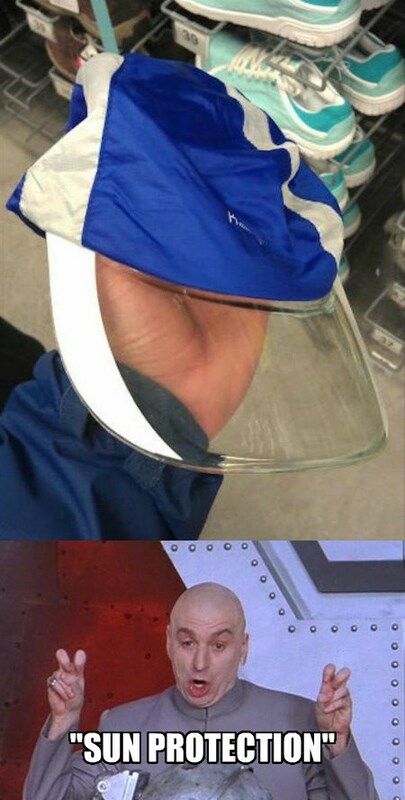 or a smart face mask? It's amazing the kind of junk people will try to pack 'smarts' into, or the kinds of things that become junk once 'smarts' are packed into them. 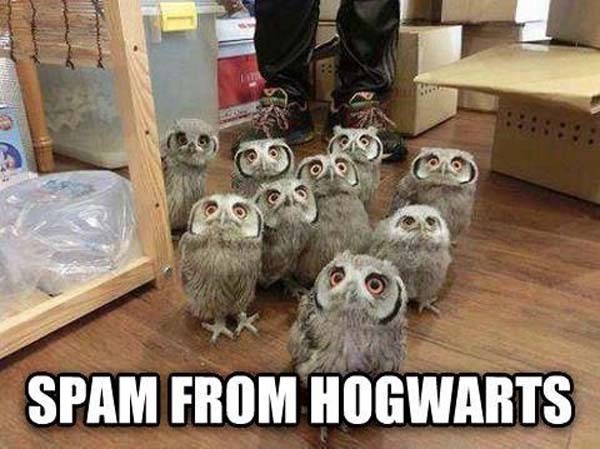 Those crafty scammers are getting their message into all sorts of things. 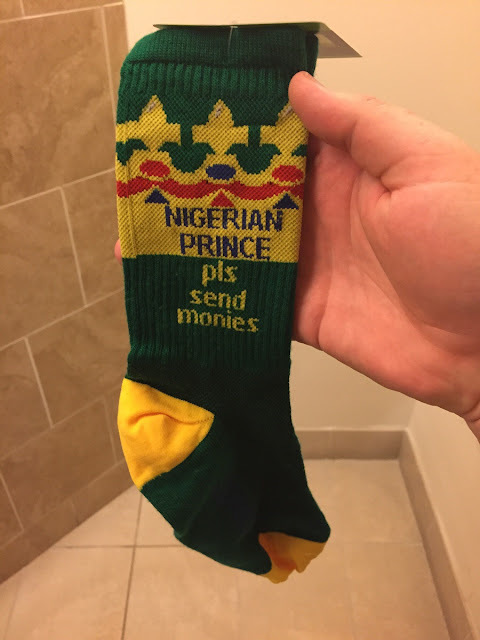 However, it turns out that if you want socks like these, you can actually get them from the Sophos store. 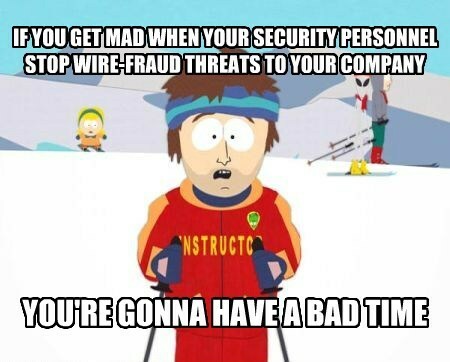 I guess it's not just the scammers that are crafty. Inspired by what is purportedly a real life account. It's been suggested that Matthew Croxton should find a better employer - could you be that employer? 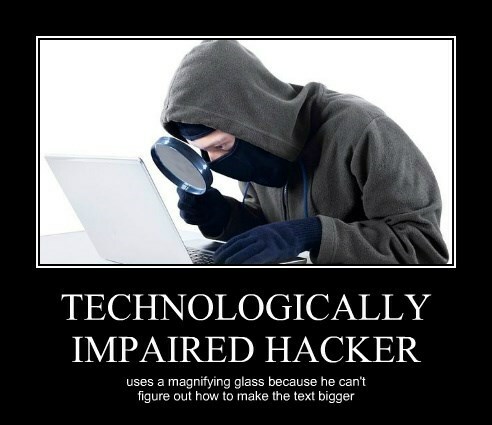 Do you think this kid would have worn that outfit if he knew how much actual hackers deride hacker stock photos? 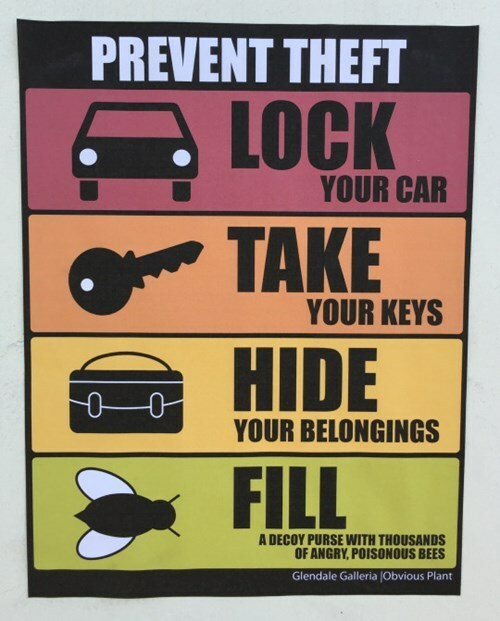 I suppose it could also be an anti-theft measure. 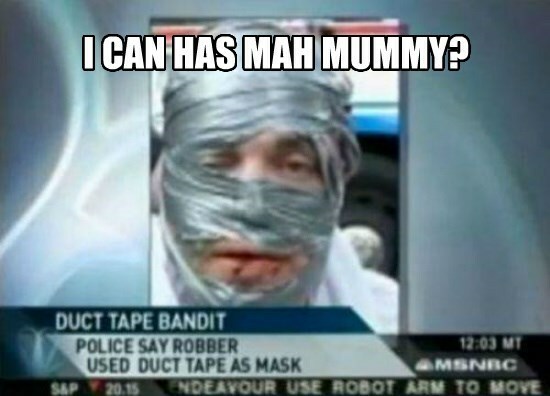 I certainly wouldn't take that money from him after it's been in there. I can't be the only person who noticed this, can I? In theory, your eyes, your body language, your word choices, etc. 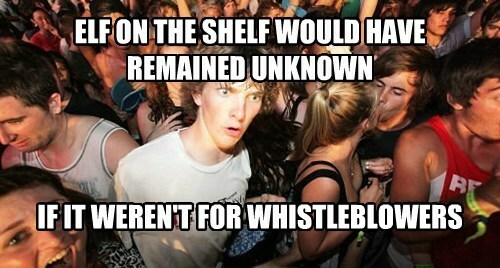 can all give away the fact that you're trying to keep the truth hidden. 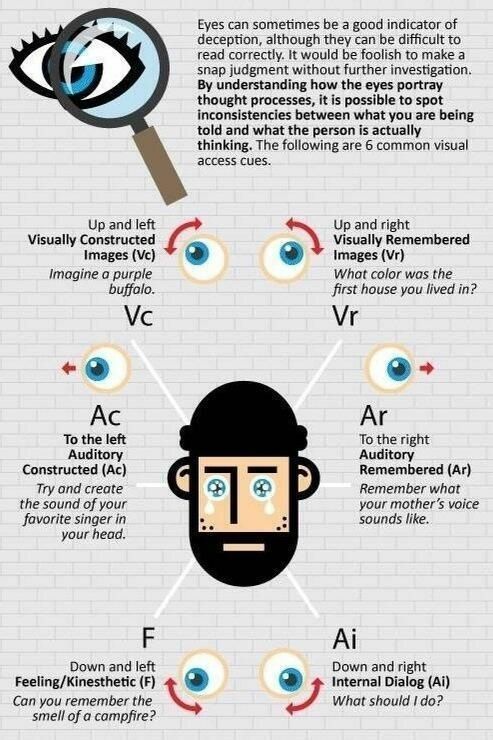 The linked infographic describes some of the ways people think they can detect such deception. They say that in every failure there's an opportunity - if this 'deterrent' has the opposite effect that it's supposed to, there are ways we can work with that. 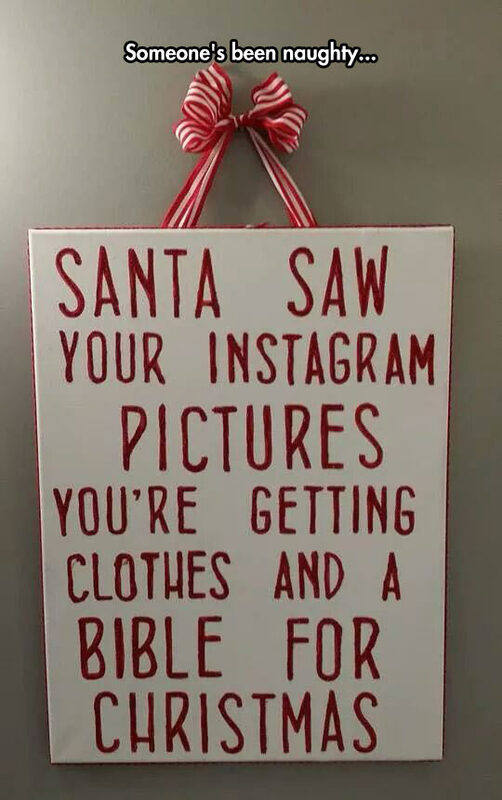 Yes, it's the holiday season. Which holiday season? Why the one with a fat guy who stalks and judges you, of course. Thanks to Andrew Blake for doing all the heavy lifting on this. Not only identifying a terrific captured moment, but also coming up with a great caption in the form of the "that face you make when.." meme. This is basically a "Beware Of Dog" sign reimagined as a story instead of a 3 word warning. 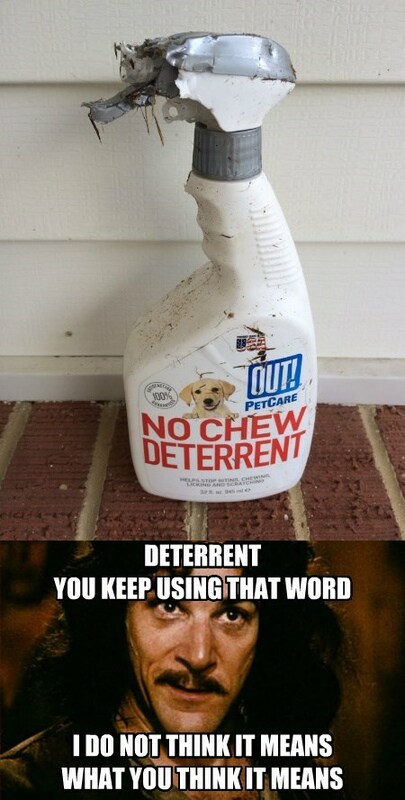 Is it a better deterrent that way? 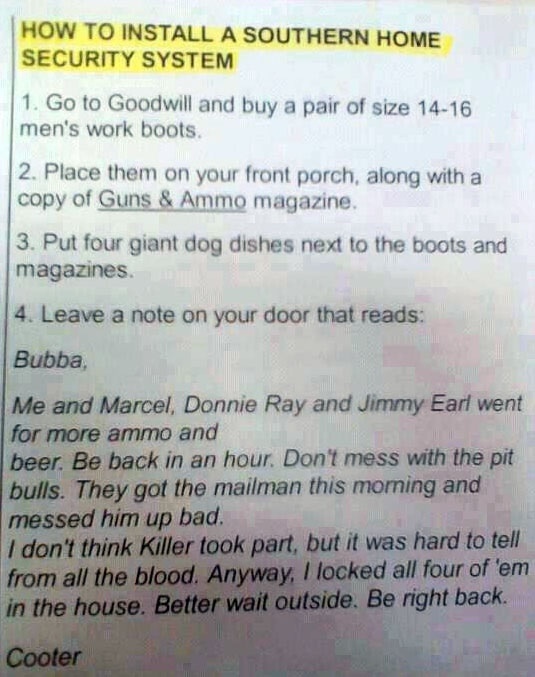 Only if the would-be burglars don't case the joint and find out there are no dogs. 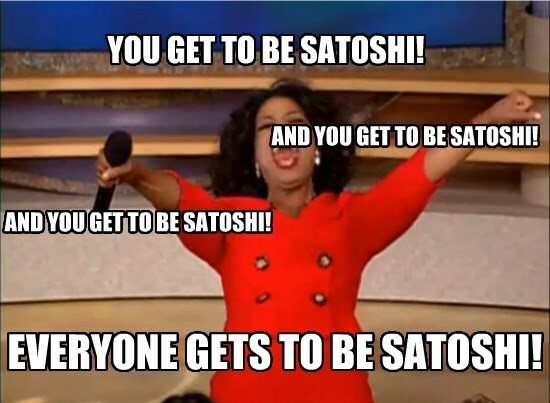 Will the real Satoshi Nakamoto please stand up? We're running out of theories about who it could be. 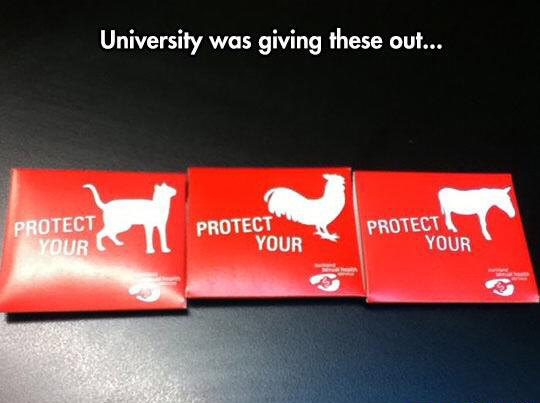 Are Those Really The Only Things That Need Protecting? 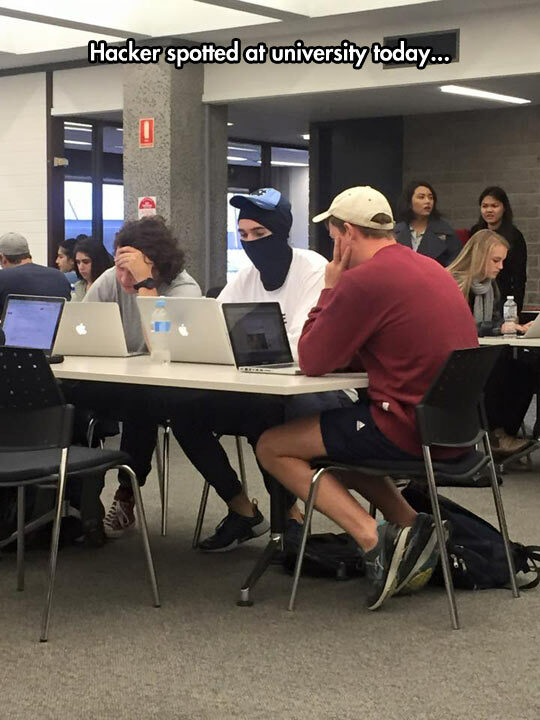 That's great, and I applaud whatever university thought of this (assuming that is the true source of this photo) but I'm pretty sure that's not a complete list of things that could use protection in that context. 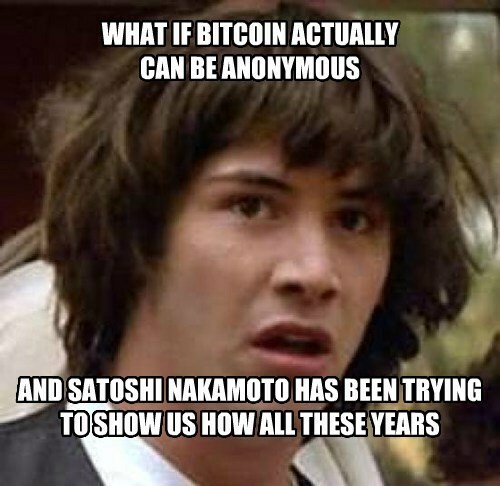 So now they've really found Satoshi Nakamoto? For real this time? No possibility of getting it wrong? 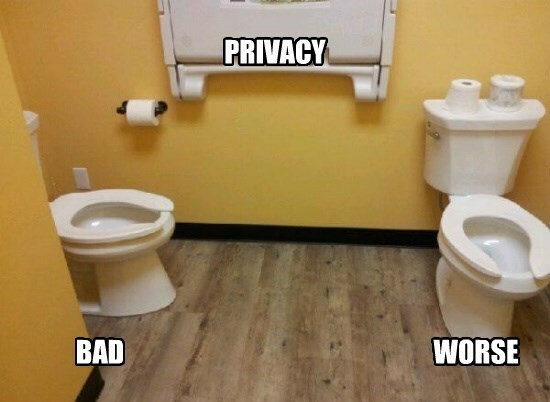 One day in the not so distant or improbable future, something like this may be the only way people experience privacy - as some abstract concept old folks rant about. If we aren't careful to preserve it, it may become as extinct as the dodo bird. 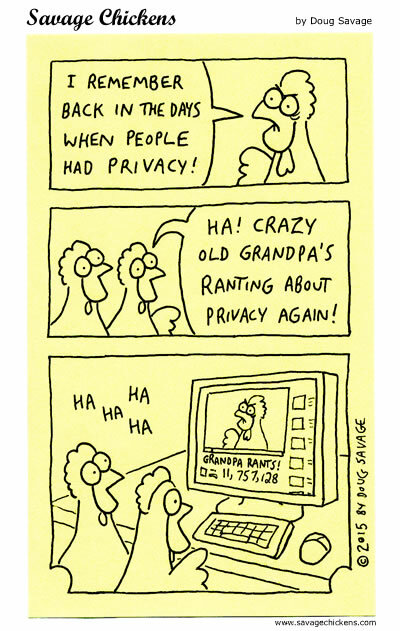 Be sure to check out Doug Savage's other sticky-note cartoons (yes, that's why the background is that colour). Look closely. 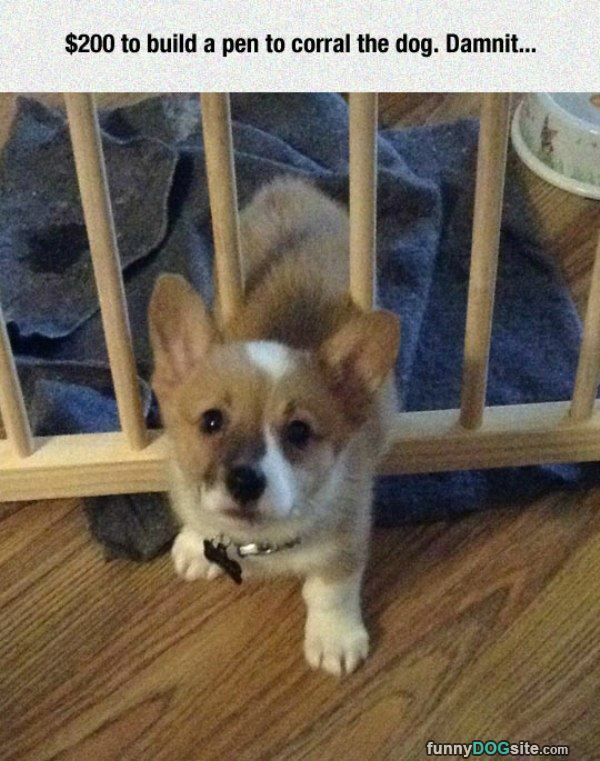 Can you figure out how he trapped himself? 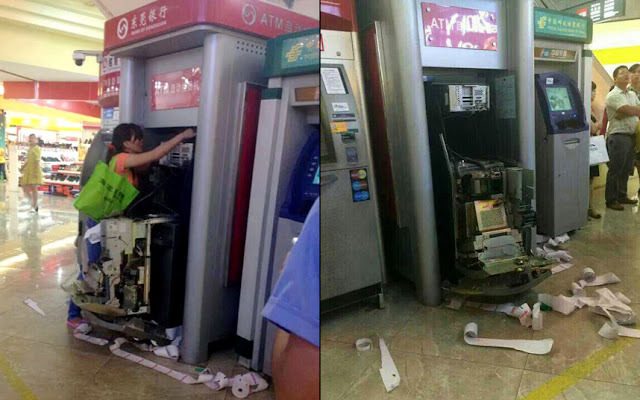 On the one hand you could say that busting past the ATM's defenses was possible because it was "Made in China", but on the other hand I'm pretty sure you could say the same thing about her. That's one determined lady. 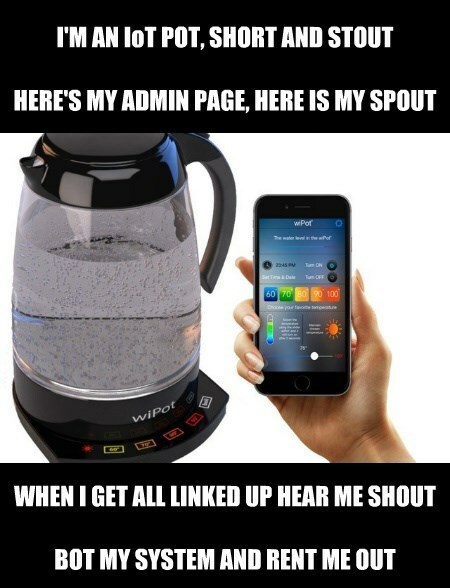 Just to be clear, I have no idea if security is the reason this product's Kickstarter campaign got suspended, but on the list of things that have no business being connected to a network, teapots are definitely on the list (it's not like you can pour yourself a tea over the network, you have to be there). 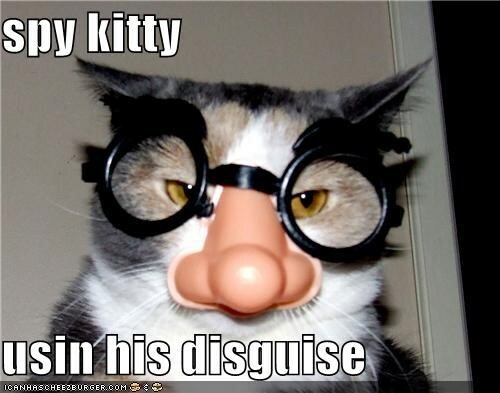 On the one hand, this disguise make spy kitty look very suspicious, but on the other hand, it also conceals enough of features that you wouldn't be able to recognize who the actual cat is. And I thought the men's room in the metro toronto convention center was bad because their shiny, polished floor was reflective enough that you could see the junk of the man in the next stall. I suspect you wouldn't need reflective floors in the restroom depicted above. I guess they're offering some sort of wand creme - which sounds just about as legit as the crap in normal enlargement spam. Tell me again why they even bother wearing camouflage gear? So that the enemy can't see them coming? Clearly the decision-maker who dreamed this up this safety belt idea didn't understand the context of the problem they were tasked with solving. 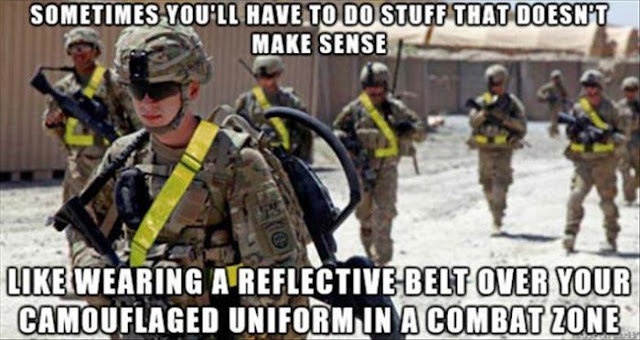 That invariably results in failure - in this case, the high-visibility reflective belts actually make soldiers less safe when facing armed combatants. 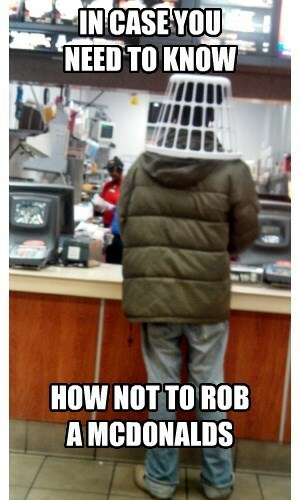 There's a good chance this gentleman is actually not trying to hold up a McDonalds, but when you consider that robbers have tried wrapping their faces in duct tape or drawing on them with markers, using a laundry basket as a mask doesn't seem so unrealistic. The source image is, of course, photoshopped. 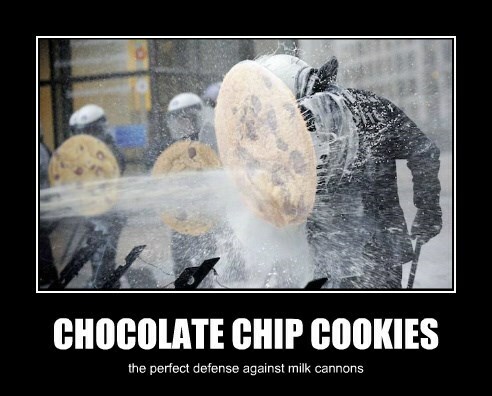 The police were not carrying chocolate chip cookies the size of shields. 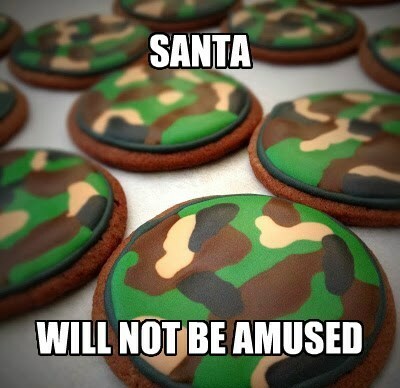 They were actually being attacked with milk, however, so maybe they should reconsider cookie shields in future. 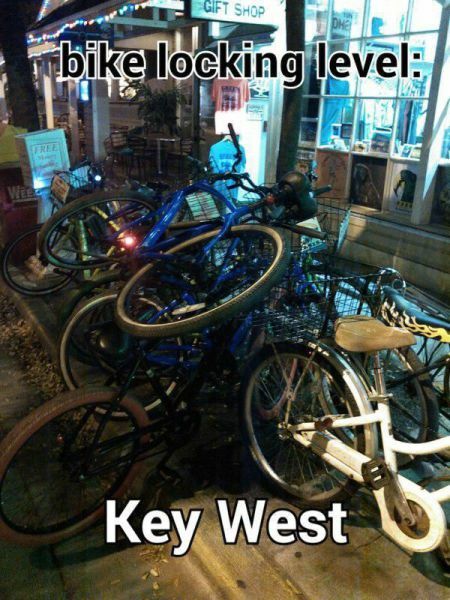 This is what happens when security facilities aren't good enough to meet the public's demand - the public finds a way.